We are seeking artwork from across Atlantic Canada to display on the outside of the theatre where Viola Desmond took her stand. The artwork should be inspired by Viola's act of protest. However, it is not limited to depictions of the particular event or portraits of Viola. There are no limitations on the form or substance of your work, and abstract art is encouraged. We will make best efforts to return artwork once the contest closes. Pick-up dates will be announced later this year. Viola Desmond was a businesswoman from Halifax. She owned and managed several hair salons across the province. On November 8, 1946, she decided to attend a film at the Roseland Theatre in New Glasgow. When she refused to leave her seat in the “whites only” section of the theatre, she was arrested, jailed overnight, convicted and fined. Viola was found guilty. She appealed to the Halifax Court but lost that too. The Court tried to say that Viola's lawyer filed the wrong paperwork. Her act of spontaneous non-violent protest inspired others and continues to do so. MacGillivray Law’s Jamie MacGillivray is restoring the theatre where Viola made her stand. One wall was exposed when a neighbouring building was demolished. The winning pieces of art will be photographed in a high resolutionand imprinted onto architectural panels. This process will be done by the manufacturer of the panels. The panels will be permanently placed on the building. $20,000 in cash prizes available. Artwork should be inspired by Viola's act of protest. However, it is not limited to depictions of that particular event. Other than the piece being 2D, there are no limitations on the form or substance of your work. 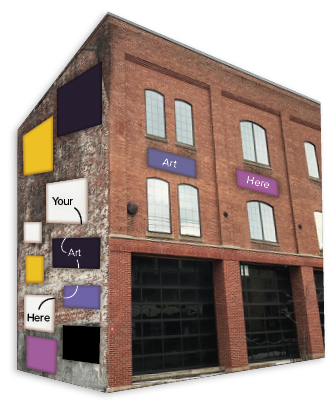 Artwork can be submitted in person to one of our offices or by mail or by courier. If you do not live near one of our offices and you are unable to mail or courier your artwork, we can also make special arrangements for collection in Sydney, Moncton, Fredericton, Saint John, Corner Brook, and Charlottetown. Please contact us to make arrangements.